Well, April is here, and with it comes a barrage of the most absurd shenanigans and tomfoolery that corporate America can muster. The pranks and chain-pulling are running rampant today, so bear that in mind as you traverse the wilds of the Internet. In fact, it’s possible you may even come across something deliberately false. Shocking, I know. But fear not, dear reader – you can trust all of us here at TopSpeed. We base our reporting on providing you with the truth and nothing but the truth, so help us God of Gasoline. As such, we’ve compiled some of the best (worst?) automotive-based April Fools jokes we could find. So then, what’s on the docket? 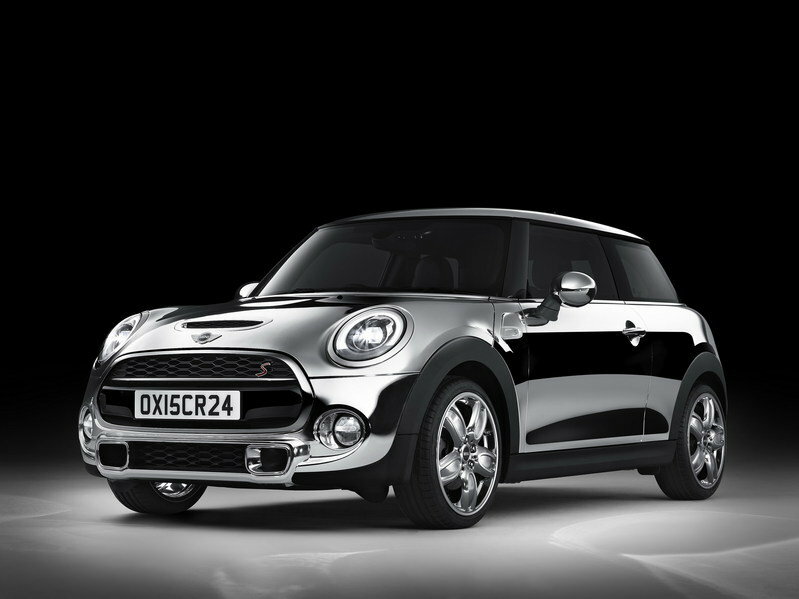 Well, ze Germans have loosened up a bit, with BMW offering a brilliant new exterior for the three-door Mini and the ultimate in dental protection, while Mercedes-AMG has announced quite possibly its most practical model ever. Additionally, Audi is launching an option for the A8 that should satisfy even the hungriest of Japanese customers. Speaking of the Japanese, Honda is placating the self-obsessed with a new Selfie trim level for the HR-V. Finally, Skoda gives us a put-on that’s, well… actually a pretty good idea. Hit “Continue Reading” for the details. But what if you need more attention than racing stripes and a checkered roof can provide? Here’s a solution – chrome. Lots and lots of chrome. Nothing says Bimmer quite like a kidney grille. Now, professional rugby players will have a chance to use that iconic shape to protect their faces, thanks to Munich’s “ultimate mouth guard.” Made from the same weatherproofing material BMW uses to seal its doors, this particular piece of premium sports equipment doesn’t restrict oxygen intake like lesser designs. “We loved getting our teeth into this unique opportunity to collaborate with the sport, and we genuinely wanted to produce something which could improve performance,” said Dr. Uwe Gotobekidin, Head of Product Fabrication. No word yet on a more powerful M-badge-version mouthguard. It’s an all too common problem – how do you combine the interior cargo room of a van with the balls-out performance of a purebred sports car? Mercedes thinks it might have a solution. 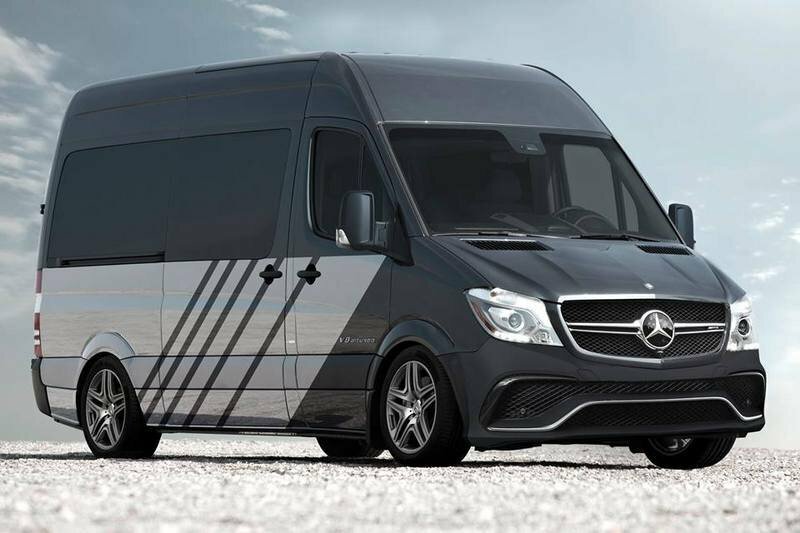 We expect it to set the all-time Nurburgring lap record for production vans. You’re on your way to an important meeting, and you know you shouldn’t have skipped lunch, but the deal is about to close and there’s no time to spare. What’s a hungry business tycoon to do? 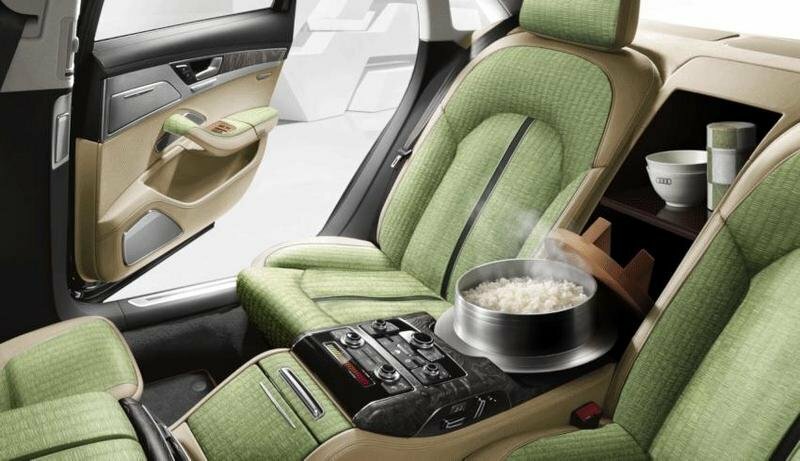 Offered exclusively to the Japanese market, Audi is introducing a new rice cooker equipment option for its full-size luxury sedan. Using an on-board touchscreen menu, passengers can select from a variety of cooking options for the perfect meal on the go. While it’s true that modern technology enables anyone to instantly broadcast his or her every thought, action, emotion, desire and things we won’t mention to the furthest reaches of the globe, there is the occasional moment when an individual might still feel disconnected. And since the government won’t share its feeds, it’s up to business to fill that void. If self-worth is based on the way our likeness is captured and digitally distributed to innumerable strangers, then this new Honda HR-V trim level appears to be the perfect salve for a yearning ego. Hitting dealerships this summer, the HR-V SLF features 10 individual selfie cameras spread throughout the vehicle to enable you to truly express who you are as a person. There is, however, one glaring issue: not enough cameras. If Honda is truly serious about bringing this technology to market, it should focus on what selfie-takers care about most: themselves. If I were running the project, I’d do away with all those unnecessary items like seat belts, a steering wheel and suspension, in order to make room for things like social media feeds, mirrors, and a robotic “pat-on-the-back” arm that congratulates drivers for all their many accomplishments. 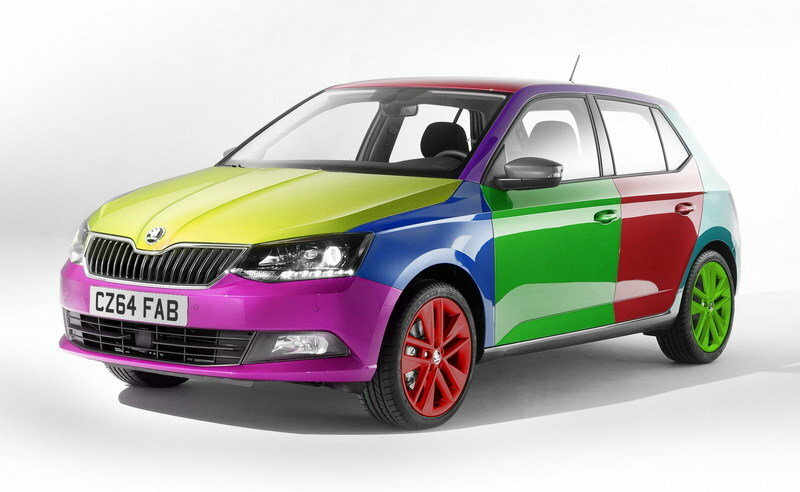 Speaking of personal expression, future Fabia owners looking to standout from the crowd will be delighted to learn they won’t be limited to factory paint jobs. The Czech automaker will imbue the exterior of its models with a new unobtainium micro-coating that will change color with the touch of a button. I know this is a joke, but am I alone in thinking this is actually a great idea? Forget Nissan’s Juke Color Studio, this would be so much cooler. Sure, unobtainium isn’t exactly… uh, real… but the point is a dynamic exterior color would simply be amazing. In fact, it’s an idea Toyota proposed with its FV2 concept last year. Did you get fooled today? Or perhaps you were the fooler? Let us know in the comments.